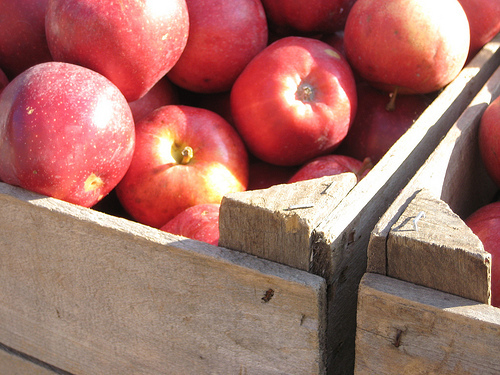 This is always the busiest time of year for the cider maker – collecting apples, hopefully lots of them. And perhaps the most exciting as you don’t know how the cider apples will be until you pick them from the orchards for cider making. “Harvest is upon us sooner than we expected! We’ve done our ﬁnal grass topping and got the sheep out of the orchard. The crop is looking pretty good afterthe recent rains, with good sugar in the fruit. We’ve done all our ﬁnal checks of the equipment sowe’re ready to go! The Morgan Sweets are dropping already so they are ripe and we have started to harvest them. Last year the tannins in the cider apples were really high, with relatively low sugar levels. This year we are predicting that sugarlevels will be high and tannin levels will be low. It means we will be paying close attention to the blend so we make an interesting brew. September is always an exciting month. We’ve been waiting twelve months to see what kind of crop we’re going to get and we just don’t know until we pick the apple, both juice and cider, and taste it for the ﬁrst time”. Tell us how your apple crop is looking this year, share your thoughts about when to pick and if we can ever have the correct combination of sunshine and rain for that reserve cider! We are always looking at tips and tricks on how to make life simpler. It is no different with cider making! The Apple Wizard is useful particularly for small orchards or even if you just have a couple of apple trees like myself you will find you can whizz round with this tool saving you time and your back from all that bending over. You just walk as you normally would with the Apple Wizard, guide the apple picker where the apples are and see how it picks them up efficiently and bruise-free! No more struggling over apples, just let the good times roll! This tool can be used for other fruits in similar size. It can also pick a variety of things around the garden and perhaps even in the house! How do you get the apples of the tree? Well, you could let nature and gravity take its course, or you could do some Panking! How are apples collected in larger orchards? Large commercial orchards sometimes use use tractors with shakers which attach to the middle of the tree trunk, shake the tree and the apples are collected below in an umbrella. Other farms pick by hand using farm workers.